wow, you only somtimes see his face, but's that's it! Who needs a ghillie suit. If I wouldnt know about this and notice it on the street I'd crap my pants thinking I saw a ghost. truly an artist. Picasso can't do that. 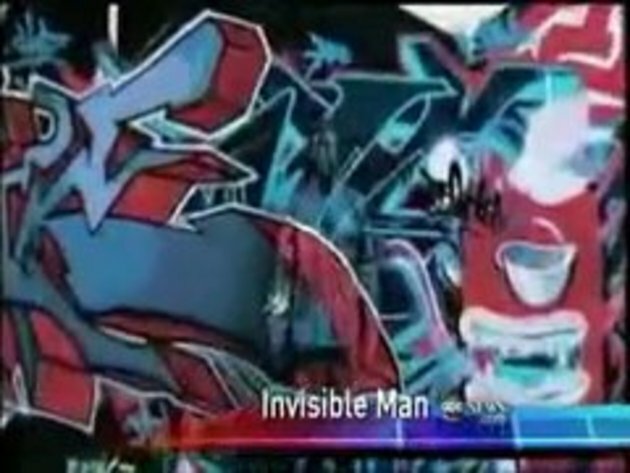 The Invisible artist....Watch him paint NOTHING! I gave this a +1 but its still not properly called in the news segment. He can't be the artist if he is the one being painted. Some of those were crazy good. he would make a great criminal!